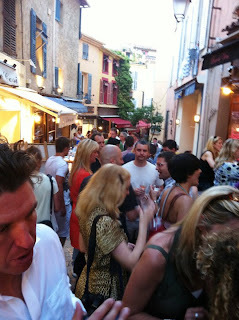 Wondering through the old town of Le Suquet in Cannes you will likely come upon a bar that is just oozing with life. That place would be Charly’s Bar. 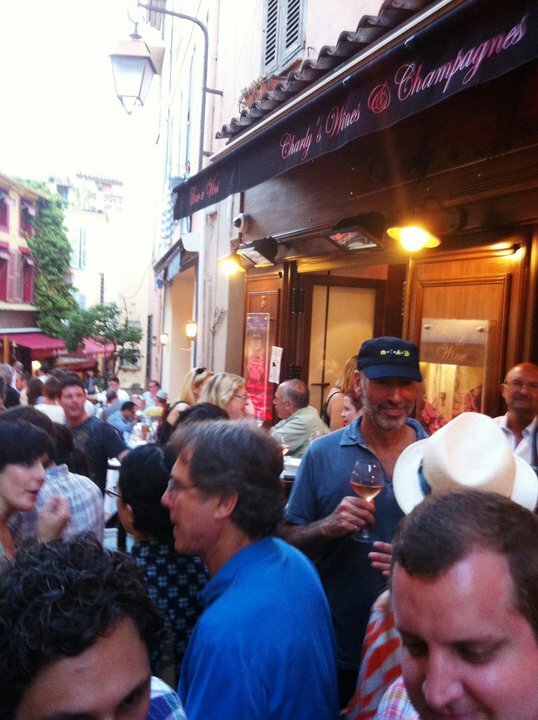 Charly’s Bar is a gay-friendly establishment that can be found if you are walking through Le Suquet away from the port, towards the upper levels of the area. Although it is one of many pedestrian streets in the area, historically, rue du Suquet was the original main road into Cannes. If you also happen to come across rue Saint-Antoine, follow it away from the port as well and stay on your left hand side as it eventually turns into rue du Suquet. 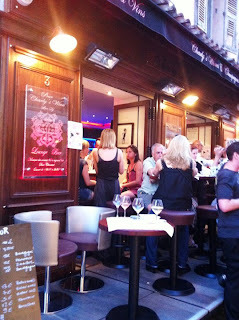 Charly’s Bar is located at: 5 rue du Suquet, in the heart of it all. Within this area filled with wonderful restaurants and shops, you will notice Charly’s Bar stands out by its beautiful woodwork and it’s welcoming outdoor terrace off the entrance. It is also where you will find the party is as much outdoors here as it is indoors. What can be better than to relax and have drinks with friends on an outdoor terrace? In the summertime, in the French Riviera, Charly’s Bar seems to help provide the right atmosphere for that to happen. You’ll find the interior of the bar has it’s own unique style. It’s cozy, and laid out in a cavernous cave like setting, yet with a modern design twist and function to it all. 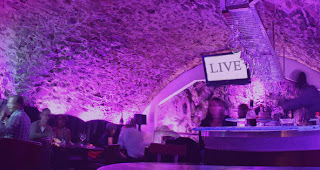 It is one of the first things I ever noticed in the South of France, some establishments like to have their environments lit up with vibrant, yet flattering colors to help set the ambiance. Everything just comes off appearing that much more glamorous too, especially if you are in Cannes, and Charly’s Bar is no exception. The way the bar happens to be presented is also a brilliant way to meet people if you are traveling on your own, as it makes for easier mixing and mingling. 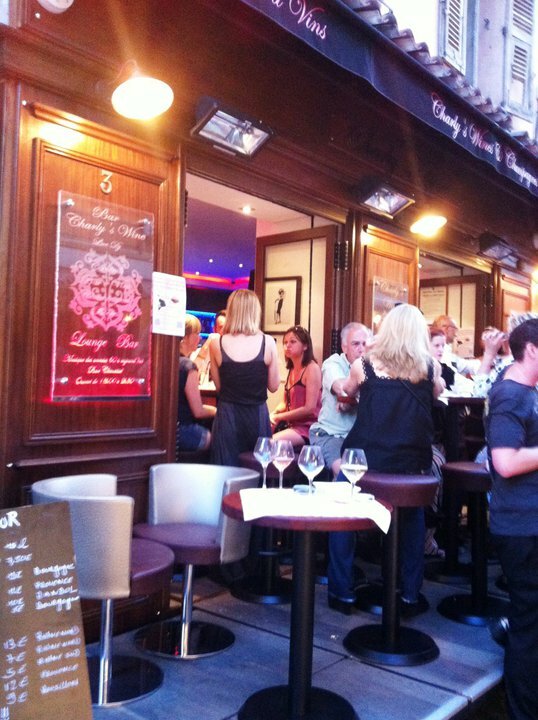 Charly’s Bar has an extensive and moderately priced drinks menu and you can even order tapas. Here, the staff always seem to be smiling, even when they are super busy. Being a more intimate-sized bar, there is no dance floor. But that doesn’t appear to deter people from trying to dance in the space they do find available while listening to the wide selection of music played from throughout the decades. 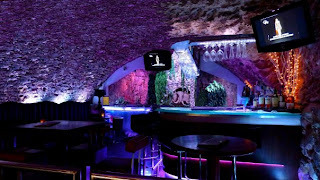 Charly’s bar is a fun, gay-friendly alternative, a great place to stop in for a drink on your way out for the evening or make a night of it with your friends.